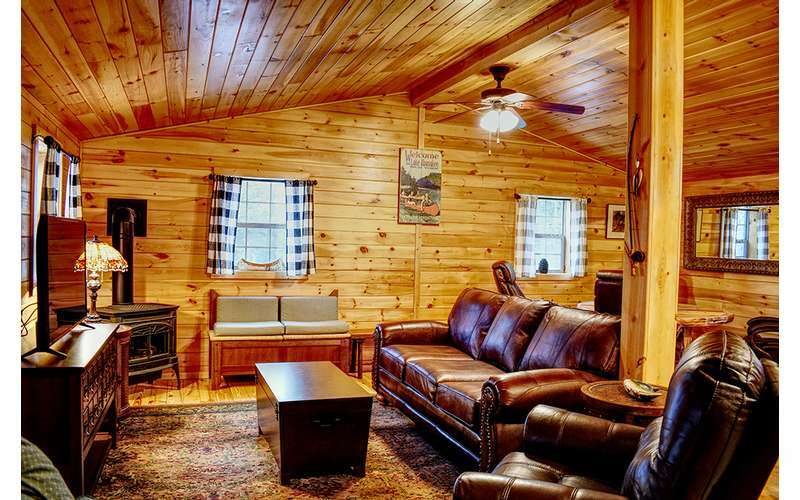 A beautiful cabin vacation rental in the heart of the Adirondacks! 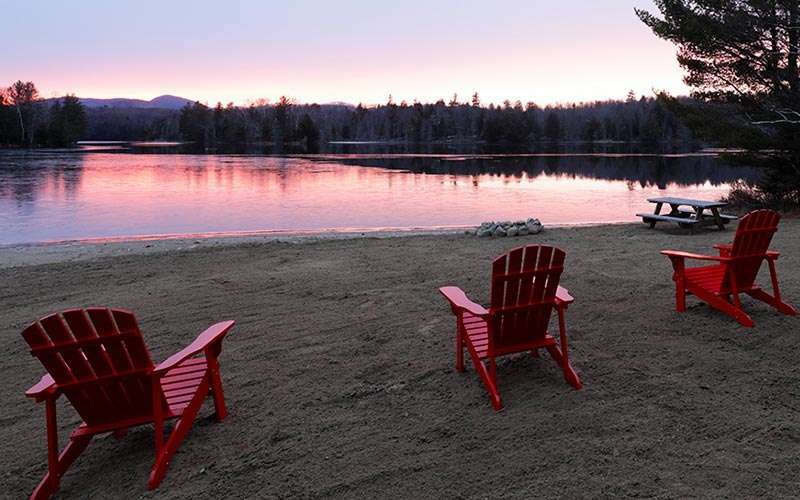 How would you like to spend a waterfront vacation in the heart of the Adirondacks? 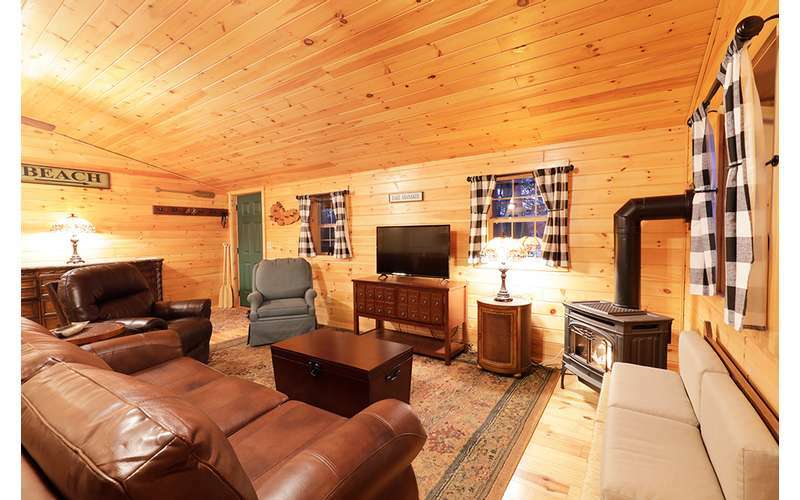 If that sounds like the perfect getaway for you, then consider renting Beach Point, a beautiful two-bedroom cabin in Indian Lake, NY. 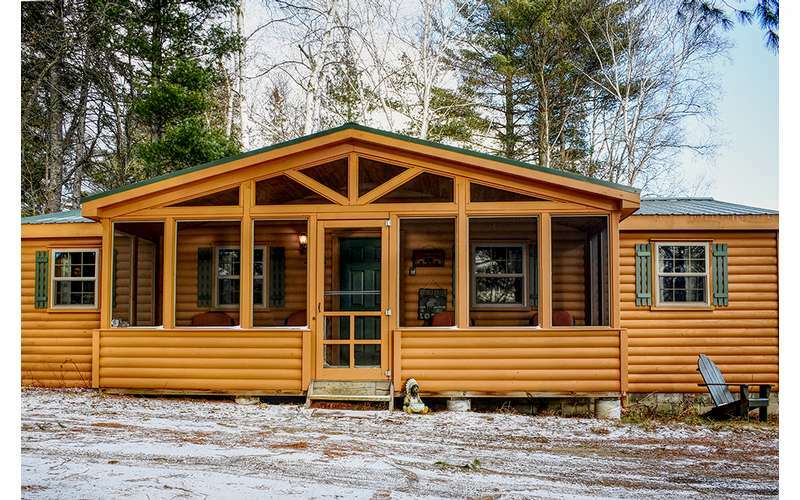 This lovely Adirondack cabin has two bedrooms and one full bathroom, and the interior is knotty pine throughout. 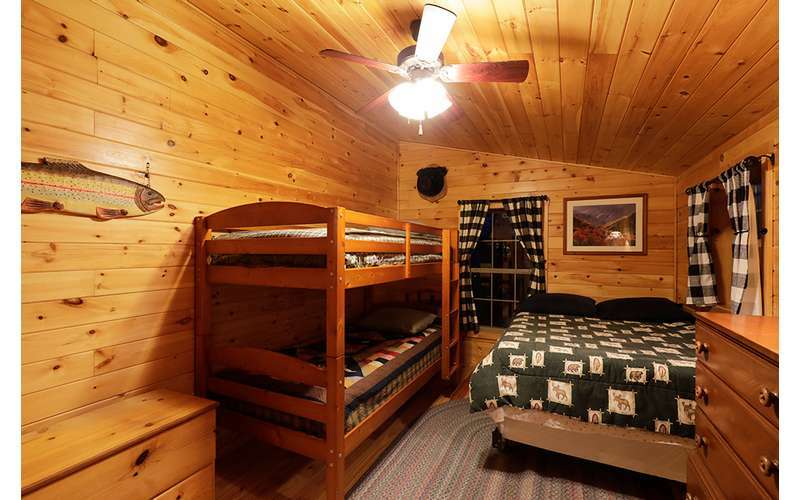 The master bedroom has a queen-sized bed while the second bedroom has a full bed and a twin bunk that is ideal for kids. Dogs are always welcome at Beach Point. 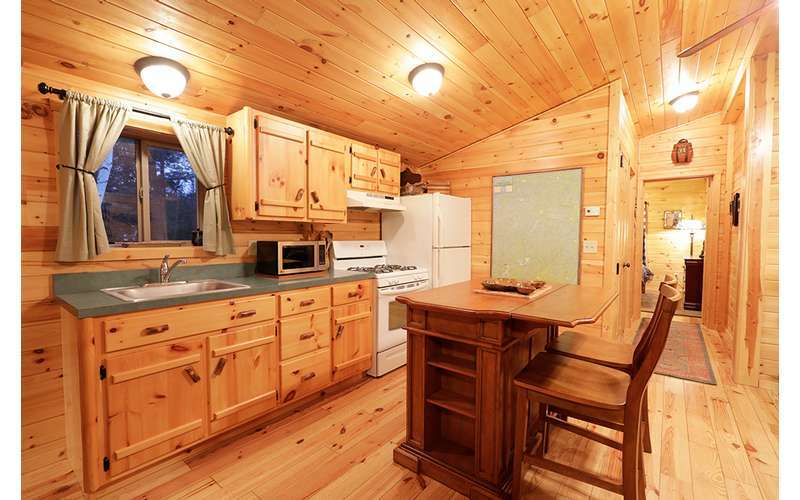 Guests will have access to a fully-stocked kitchen with an oak island that offers seating for two. 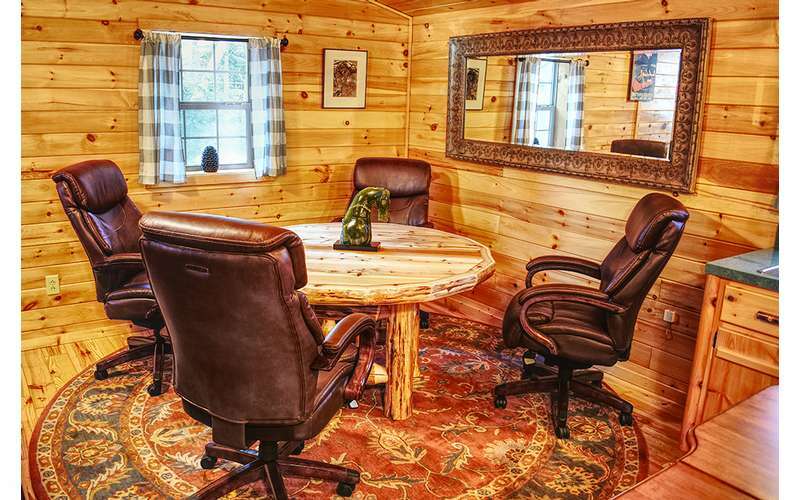 The separate dining room has a large round Adirondack table with enough seating for four. 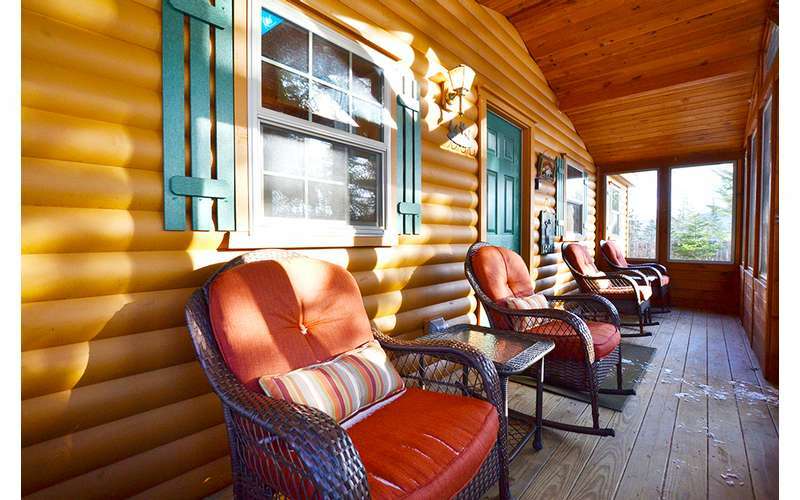 You can also relax on the screened-in porch (seating for four) and enjoy the amazing views of the beach and lake. Lake Abanakee is a very quiet and peaceful lake that is perfect for swimming, kayaking, canoeing, and stand up paddle boarding. 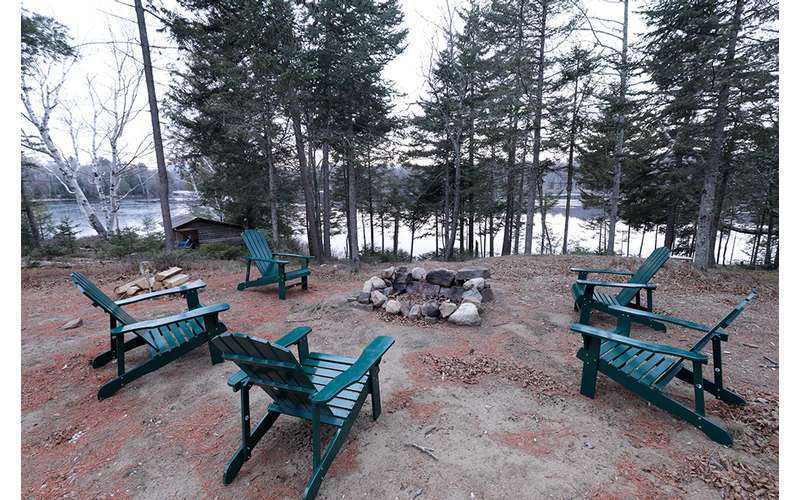 The property's waterfront features a large private beach, lean-to, two picnic tables, and two campfire pits. 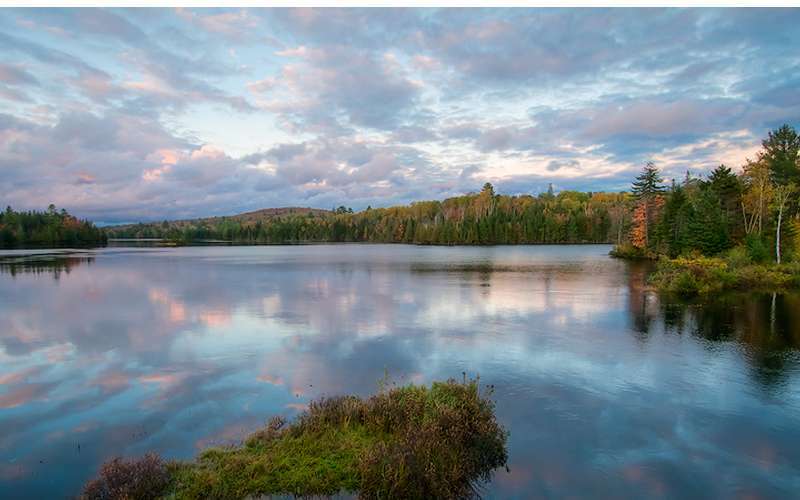 The lake offers excellent bass, northern pike, and yellow perch fishing. 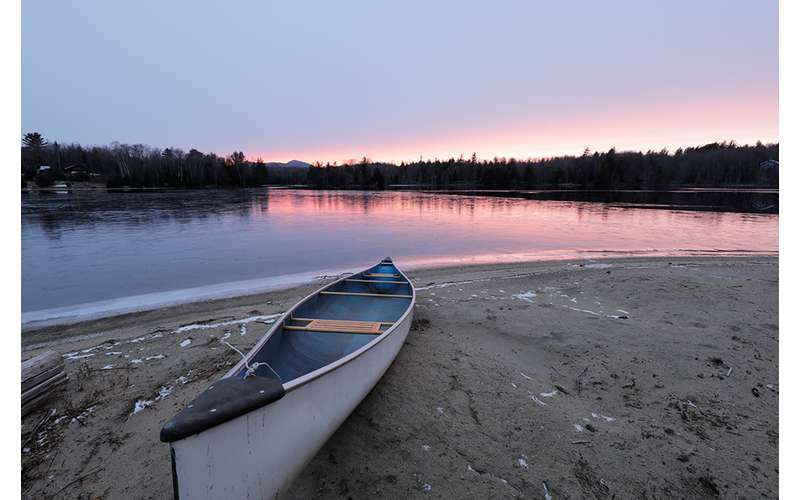 When you're ready to get out and explore the Adirondack Park, you'll find plenty of activities to try in the surrounding area. You can discover nature on numerous nearby hiking trails, including Snowy Mountain, Chimney Mountain, OK Slip Falls, Blue Mountain, Sawyer Mountain, and many more. Plus, whitewater rafting opportunities and winter skiing at Gore Mountain are an easy drive away. During your travels, be sure to keep an eye open for local wildlife, such as bald eagles, loons, ospreys, beavers, otter, wild turkeys, deer, moose, and others. 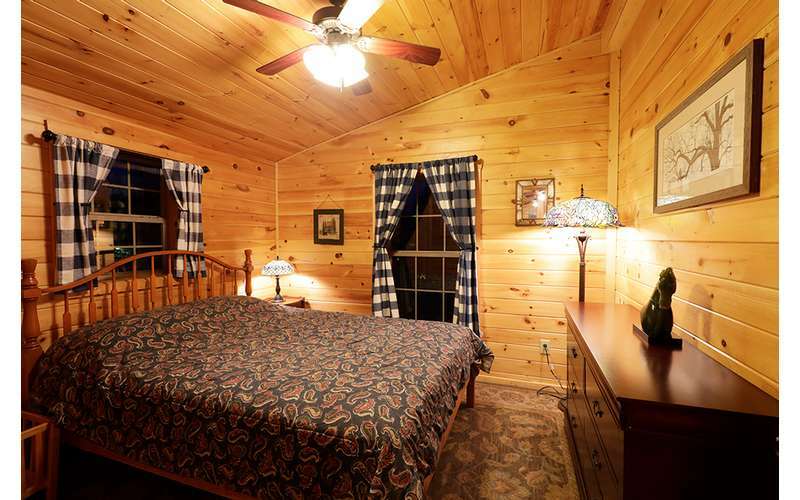 Visit our website today for the current availability calendar and to book your getaway!